Epilepsy is a condition that affects more than three million Americans, many of which battle regular seizures. While the likelihood of developing epilepsy increases, about one-percent of people have epilepsy in the United States by age 20. 1 in 26 people in the USA will have been diagnosed with epilepsy or experienced some type of seizure at some point in their lives according to the Epilepsy Foundation. Medications can help to control seizures, and many people can effectively manage epilepsy. In fact, about 70-percent of adults who have epilepsy are expected to enter remission – meaning five seizures or less per year – once the right medication is found. Along with medication, individuals who suffer from epilepsy need to adjust their lifestyle to avoid common triggers. There are certain natural methods that sufferers could use to alleviate some of the symptoms related to epilepsy. There are a number of triggers that can worsen your symptoms, although this does vary from person to person making it hard to pinpoint the triggers in every case. However, there are some common triggers like flashing lights, loud sounds, and for many sufferers, stress. In order to reduce stress that could be causing seizures, try these relaxation techniques for epilepsy. It should be noted, however, that these methods should be practiced in conjunction with any medication that you are already taking. Many people are intimidated by the idea of meditation – assuming they don’t have the willpower or ability to focus enough to block out the outside world. However, meditation isn’t about blocking everything out or even as much as somebody else. It’s about relaxing yourself and making your life more ordered, calm and focused. For many people, meditation can be as simple as sitting on the grass in a quiet park and repeating a mantra in their head for 10 or 15 minutes when they have time. For others, meditation becomes a more involved process, and some people even prefer to meditate a few times per day. To make meditation work, you’ll need to find out what’s right for you through experimentation. However, trying meditation and sticking with what works can greatly reduce the level of stress in your life, which could in turn help you reduce how often you have seizures. Keeping your living space clean and organized can do wonders for your psyche. It will help clear your thoughts and allow you to relax when you are surrounded by peaceful surroundings. Try and organize the belongings in your home in a way that promotes relaxation and ideal energy flow. While you don’t have to become a master decorator to feel more relaxed in your space, learning the basics and altering what you can could make a big difference in how you feel in your space – especially after a busy, stressful day. Adding relaxing items to your home like wall fountains, which produce the soothing sound of running water, is an easy to incorporate more soothing and relaxing vibes into your home and décor. 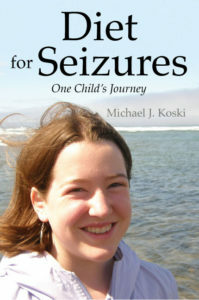 Epilepsy is a difficult condition for many people because they don’t always know when they’re going to have seizures. Many suffer from seizures at work or in social situations, which can be dangerous and embarrassing. While you may not be able to completely stop having seizures, a combination of the right medication and relaxation techniques have helped many people reduce their frequency. Marcela De Vivo is a freelance writer and yoga enthusiast in Southern California. She loves incorporating meditation into her daily routine for its many health benefits and encourages those suffering from health disorders to try meditation. Follow her on Twitter today!